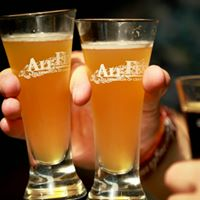 AleFest Dayton, Ohio's longest running beer festival. A true Celebration of Craft Beer! General admission allows attendees to sample from a carefully selected assortment of over 250 of Ohio's (and the world's) finest malted and hopped beverages. Local food purveyors will tempt your taste buds as well, The Fries band will entertain, and everyone will (should!) go home happy! VIP tickets are also available, providing entry one hour earlier (3pm entry), obviously providing early access to some of the more sought after beers. PLUS: Just added! Each VIP ticket will be automatically entered into a drawing for one bottle of 2007 Samuel Adams Utopias! VIP entrants should go home a little happier than the others.